Beauty with a Twist: Leather and Beads?! I was taking a stroll after working and curiously enough, I ended up at Sephora... I know that textured polish has been the latest craze, I've definitely been sucked into it. 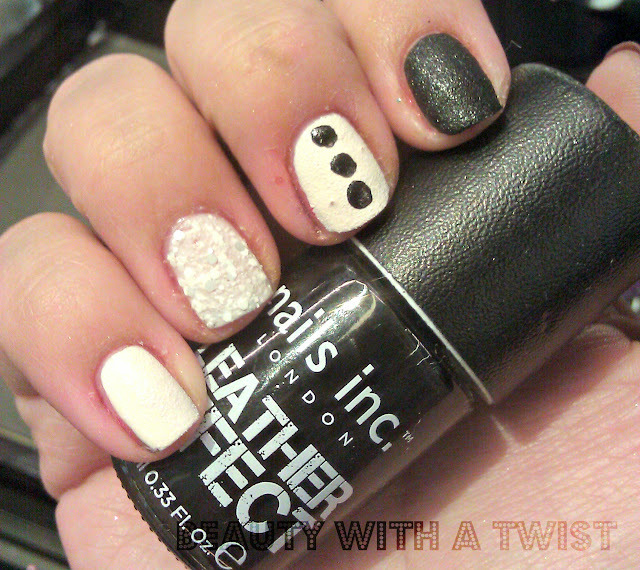 But when I saw the Leather Effect polishes, I had to try them out! 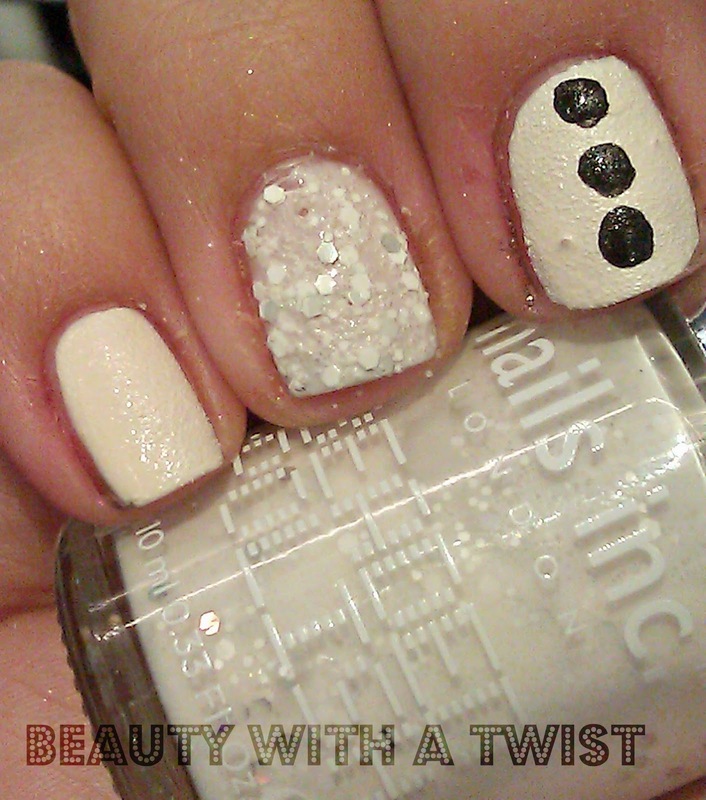 I also was intrigued by the Beaded Effect polishes. And they had acetone out, so why not give them a try? I painted my pinky and middle finger with Clerkenwell, an off-white, and my index finger in Noho, a pitch black. These dry pretty fast so I was able to do two coats of each without feeling weird that I was doing my nails at Sephora, haha. I also broken a cotton swab and used it to dot some Noho as an accent. Now I swatched Embankment Black and Mint, and they looked a HOT mess. I don't know if the bottle was dried out or what, but it was too awful to show. But the Beaded Effect in Buff? LOVE IT! It has a delicate, bridal look to it almost. The base is sheer enough to let the glitters and texture show through, which couldn't be said about the Black and Mint colors. Here is a close-up of both Leather and Beaded Effects. I really liked how this impromptu manicure turned out! Now I haven't exactly loved wearing textured polishes to work because I always get foundation on my hands and it always makes them look gross. I'm happy to say this didn't happen with either polish! They also wore pretty well, considering I didn't use a top coat (I got about 3 days before chipping set in). I am definitely considering picking some nails inc polishes! Have you tried any of their polishes? How do you feel about textured polish? Love it or over it? i ADORE Nails Inc and i had NO idea they did leather effect! i have to go and buy them. oooh I haven't tried Nails Inc. (I've been distracted by collecting every OPI color ever released) :P Love the beaded effect!! I will have to try it, thanks!